I first get to know Martin of 88 Hong Kong Roast Meat Specialist when he was roasting his meat at Tampines. 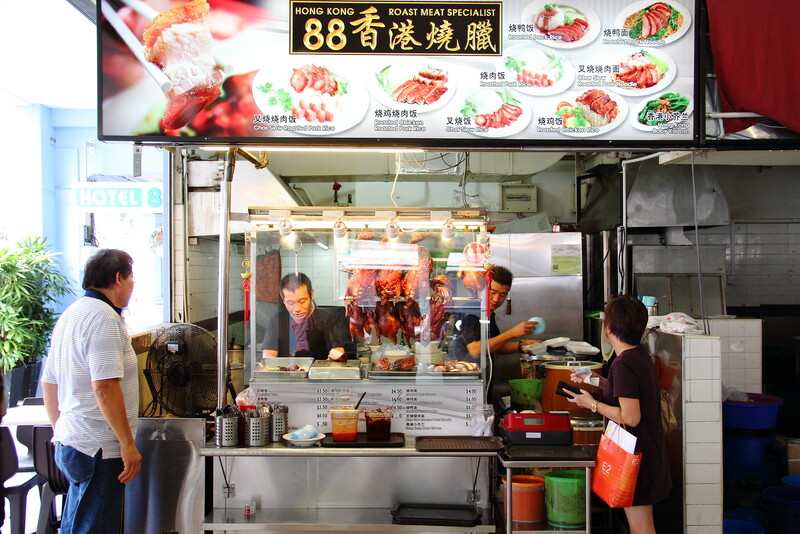 I thought I have discovered the best sio bak in Singapore when Uncle Martin introduced the stall to us, formerly known as Cross Way Bay Hong Kong Roasted Meat in Tampines. The joy was short lived as he soon moved to Johor Bahru. It is only late last year that Martin moved back to Singapore again, starting 88 Hong Kong Roast Meat Specialist at Bukit Batok. Due to the slow business in Bukit Batok, he closed the stall and re-opened at the current place in a coffeeshop at Foch Road. 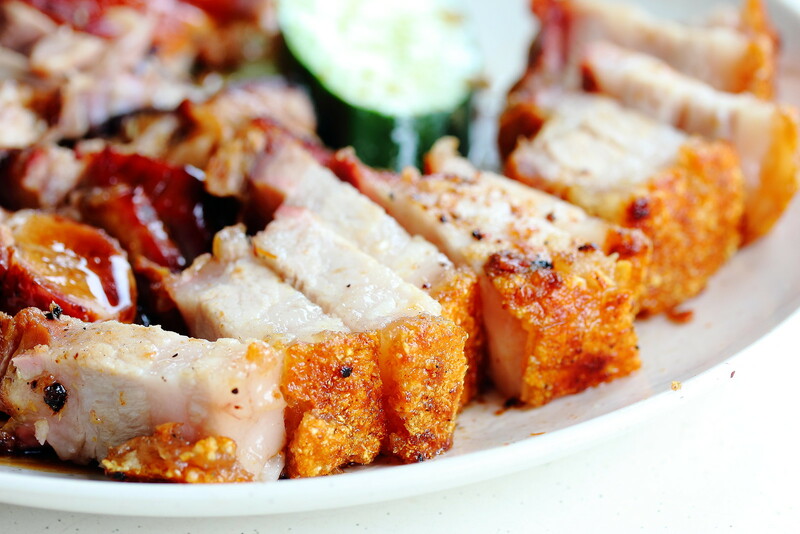 What made Martin has such a big following is because of his Sio Bak or Roasted Pork Belly. Unlike most stall, his sio bak is not only crispy on the skin but has a biscuit like texture that is unique and enjoyable. 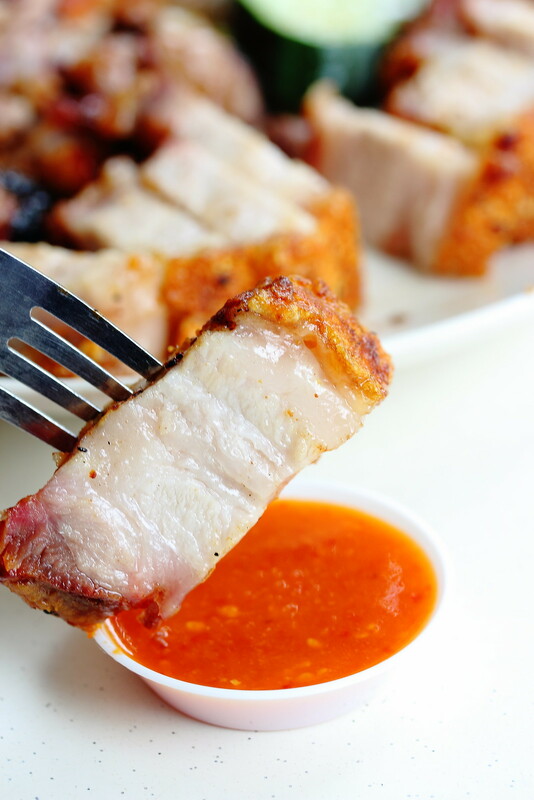 Look at the gorgeous 7 different layers of the sio bak or pork belly. Someone ever told me, this is the golden standard of a good sio bak. 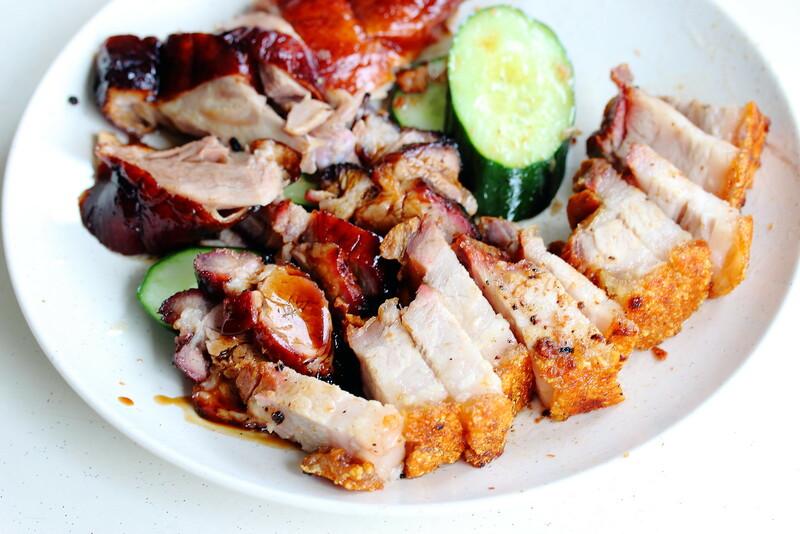 Besides the sio bak, I also order some Char Siew to try. I remembered I did not like his char siew back then. However this time round, I think Martin has fine-tuned his skill and it actually is quite good. 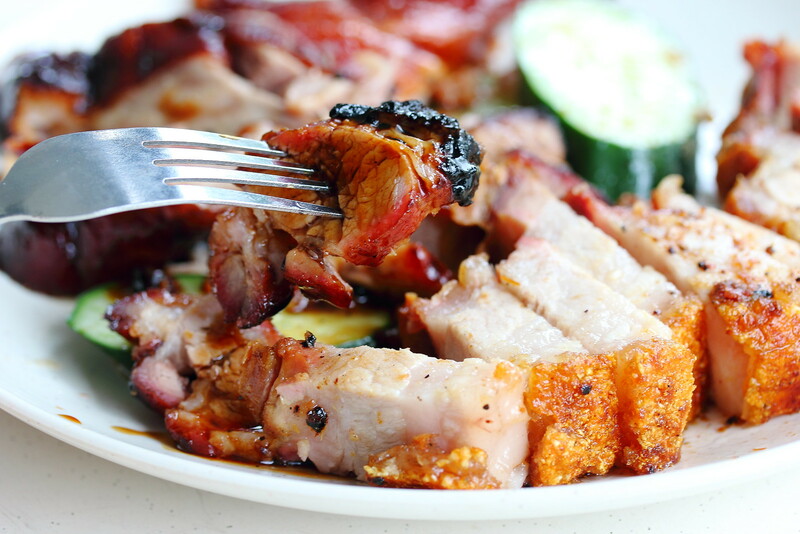 The char siew is not too sweet and roasted to a tender texture with hints of charred smokiness. The other roast that Martin is perfecting is the Roasted Duck. I wonder what has he changed or learnt during his travel because he has gotten better with his roasted duck. 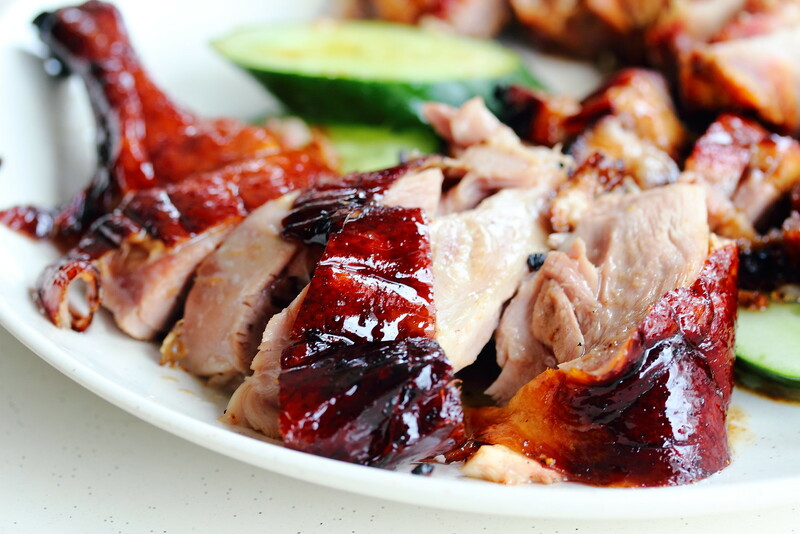 Not only is the exterior crispy, the duck itself is still tender and juicy. As he was very busy during my visit, I did not get the air time to find out more from him. Many of us who knows Martin is glad that he is back in Singapore now. I am also happy to see that his business is picking up too, from the sight of the long queue during my visit. I hope he is here to stay or I will miss his sio bak. By the way, do note that the current stall in Bukit Batok although using the same name is not related to him. The master is now at Foch Road. No this is not an invited tasting.